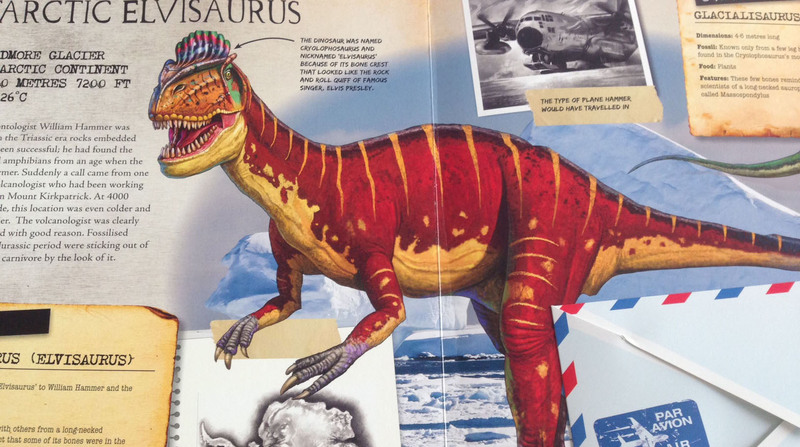 Published in October by Bloomsbury, Discovering Dinosaurs by Simon Chapman and illustrated by Rudolf Farkas and Mike Love is a beautifully crafted book telling the story of the dinosaurs and the explorers who discovered them. 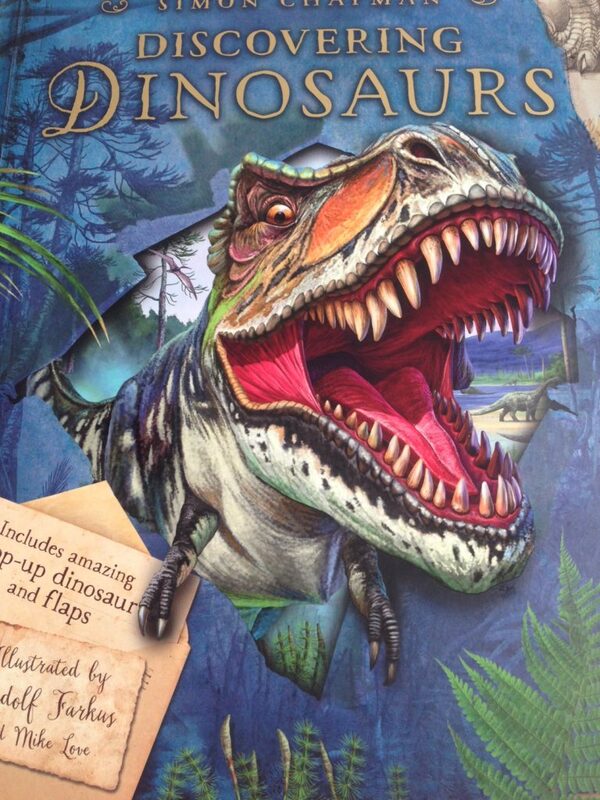 Crammed full of stats, wild pictures, a pop-up, realistic artworks, journals, lift-up flaps and even the insides of dinosaurs, you’ll discover what makes a dinosaur, when and where they lived, what they ate, why they fought and why they became extinct. You’ll battle blizzards with swarms of vipers in the Gobi Desert with Roy Chapman Andrews and join the race across the Wild West of America with bone-hunters Cope and Marsh. Find out that Tyrannosaurus Rex had huge bone-crunching jaws with 50-60 teeth and could eat up to 500lbs of meat in one crunch! That’s three whole cows or a Triceratops! Author and explorer Simon Chapman has been entertaining adults and children with stories of his real-life adventures since 2001. A self-confessed jungle addict, he has canoed the Armu River in Siberia looking for tigers, crossed the Bolivian Lowlands by horse, canoe and on foot, and taken his family on an intrepid trek through a rainforest in Thailand. He writes books and articles telling of his adventures and has written and recorded for the BBC.